I went into this marathon, my second overall but longest run in 4 years, with a decent training cycle. I wanted to improve upon my Chicago 2001 time of 3:59. Through the first 10 miles I was confident. By halfway I was certain, having run about 1:50-something and still feeling quite good. Then, just minutes later, crash. I entered a long hilly section (in retrospect, probably only about 3 miles and not that steep) and it destroyed me. 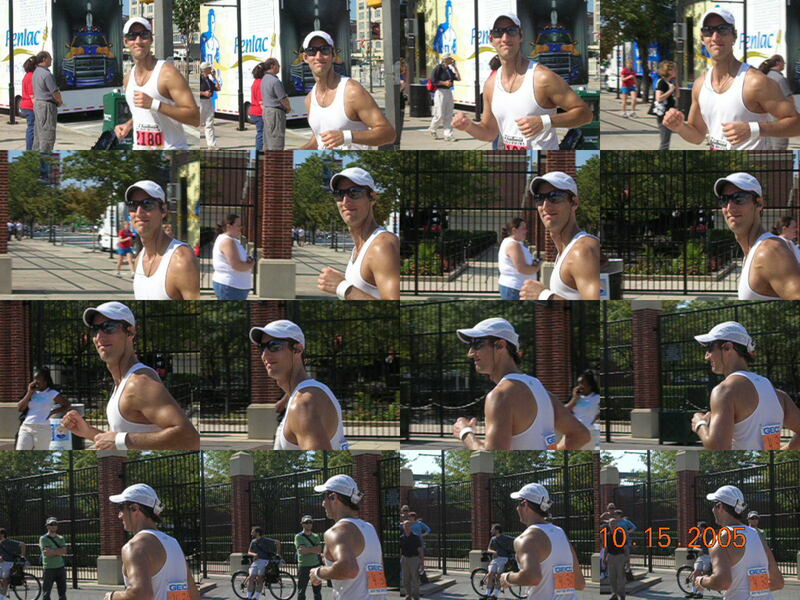 I ended up having to walk multiple times for many minutes at a stretch, something that I hadn’t done before or since (as of June 3, 2011) on any road race. I ended up running 4:42:44, which isn’t a horrible time unless your goal is 3:50. So, that second half took me about 2:45, which just shouldn’t happen…unless you train improperly for the course and go in cocky.